1. 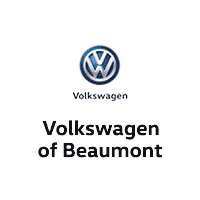 Why Buy From Volkswagen of Beaumont? Bring your vehicle to our Beaumont location at 1515 Interstate 10 South, Beaumont, TX and receive a free written Appraisal and Commitment to Purchase – good for 3 days. Simple buying process with Internet shopping and Bottom Dollar Pricing. Competitive financing available for all creditworthy profiles. Our large size gives us great buying power and the organizational strength to deliver on our promises. 2. Why Sell Us Your Car? Top Dollar and Quick Cash for your vehicle through bank draft or wire transfer. Save time and money in not having to fix up your car or purchase expensive advertising. No hassle in having to show and sell your vehicle to a stranger. 3. How Does Selling Work? Bring your vehicle to our nearest Delivery Center location and receive a free written Appraisal and Commitment to Purchase – good for 3 days. 4. How Much is My Vehicle Worth? 5. Why Finance with Us? Full range of competitive rates and terms through our National lending partners. Low or no down payment with credit approval. You may request having credit approval before you arrive to take delivery of your vehicle. All of our used vehicles have undergone a multi-point inspection. We also offer extended warranties to help you manage unexpected repair costs that arise with normal vehicle usage.